Blotto Art is so fun! 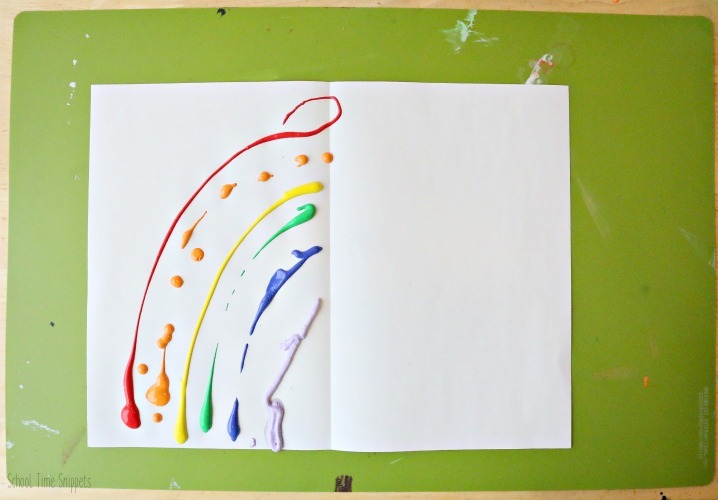 Unfold a unique and colorful rainbow print with this easy Rainbow Craft for Preschoolers! 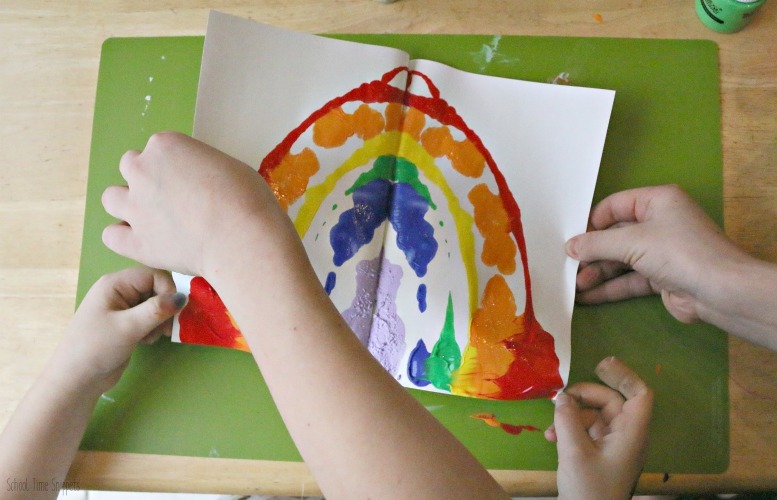 As you eagerly await spring (like we are over here), create this colorful rainbow craft! 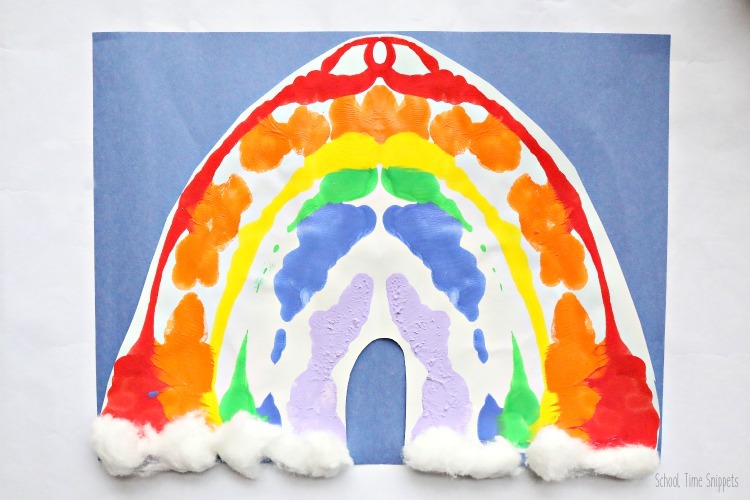 This rainbow craft for preschoolers is a little lesson in symmetry with a whole lot of color! 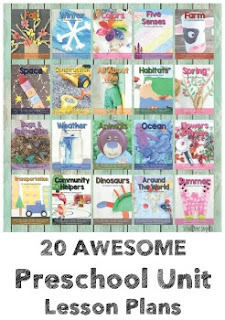 There are a lot of fun ways to learn with rainbow themed educational activities. It's even more fun to create some colorful rainbow art. 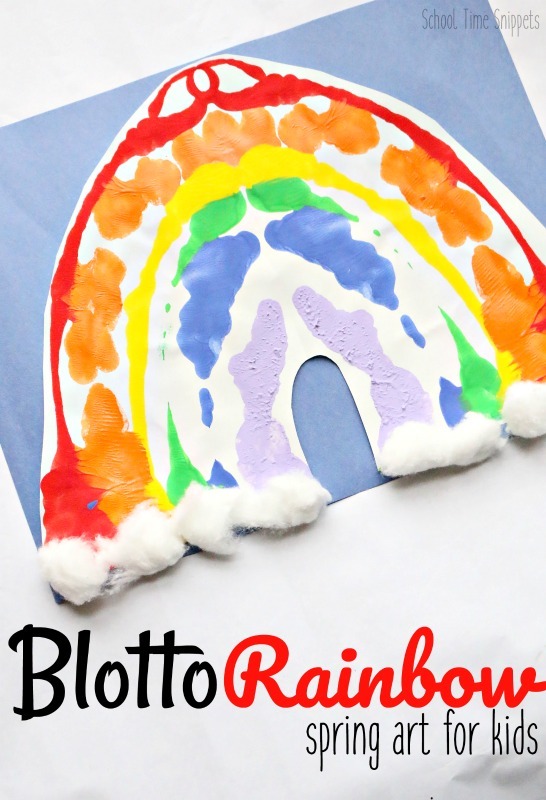 Give this Blotto Rainbow a try with your preschooler (although your older ones would enjoy this, too Mine did!)! My kiddos Ooohed and Ahhhed as they watched the rainbow appear. Set up this art activity by giving a quick little lesson on symmetry; symmetry is a mirror image. Basically what is on one side, will be the same on the other. Using the colors of the rainbow, squirt the colors ROYGB(I)V on one side of the paper. Carefully fold the paper in half along the folded line and press your hand up and down, back and forth to help print the rainbow on the other side of the paper. If your child needs help smoothing out the paint, grab an old credit card or something similar, and use it to spread the paint. Next, (this is the most exciting part!!) unfold the paper and watch the rainbow appear!! Oh, my kiddos were so excited over this part! And indeed, each side of our rainbow looked exactly like the other half! After it dried, we cut off the excess white paper and glued our Blotto Rainbow onto a piece of blue construction paper. Then we added cotton ball clouds by gluing them to the bottom. Such a simple and colorful rainbow craft for preschoolers!